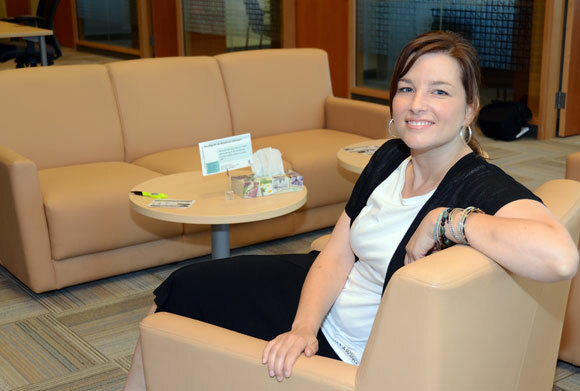 Michelle Lowton wants the space for the Get Involved program in the University Centre to be open to all students who want to volunteer or work together on a beneficial project. There’s a lot more to university than books and studying and the Get Involved program wants to help introduce students to the world around them. Michelle Lowton heads up the program that is based in the University Centre at the University of British Columbia’s Okanagan campus and she has a dream of getting students involved not only with volunteering on campus, but the community at large. Often when people consider volunteering they think of traditional charitable organizations, but Lowton says there is a world of opportunity waiting for someone who is willing to give their time. Many volunteering opportunities are non-traditional and cover a broad spectrum of activities. “Most of the students who come here don’t know Kelowna. Part of this is us helping them to know Kelowna better,” she says, adding the Get Involved program will match student’s interests with areas where they can volunteer their time. Human Kinetics student Leah Donatiello spent the past two summers volunteering in Peru, but she is also active on campus and she recommends other students also sign up to get the most out of their university experience. The Get Involved program began with the start of school and Lowton has big plans for the future. She wants to make the space in the University Centre the epicentre of all things volunteer –related from students helping other students with special projects to providing community agencies a one-stop shop for connecting with volunteers.